Hey everyone! This week I'm starting off the beginning of the Fall season right, by hosting a collective giveaway with a few other fabulous ladies to win a beautiful necklace from A Pocket of Whimsy, a shop that offers a lovely collection of rustic and nature-inspired pieces. I am so in love with this Etsy shop and the unique pieces it offers, so I'm really excited to be sharing this giveaway with you all! For this giveaway, A Pocket of Whimsy is offering a chance for three lucky gals to win a necklace from their shop! To enter this giveaway, just fill out the rafflecopter widget below, and let me know what necklace from A Pocket of Whimsy you'd like to win! This giveaway runs until the 28th of September, so I'll make sure to announce the winner of the day after! 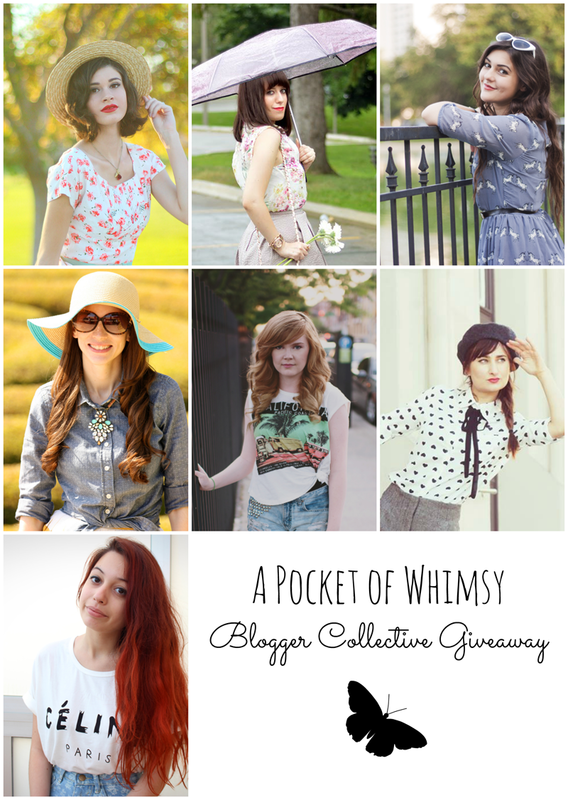 While this is my third giveaway this month, this one has without a doubt been the most fun, because of the great experience it has been working with the 6 other bloggers doing this collective giveaway with me! They all have such wonderful blogs and I recommend you all check them out! 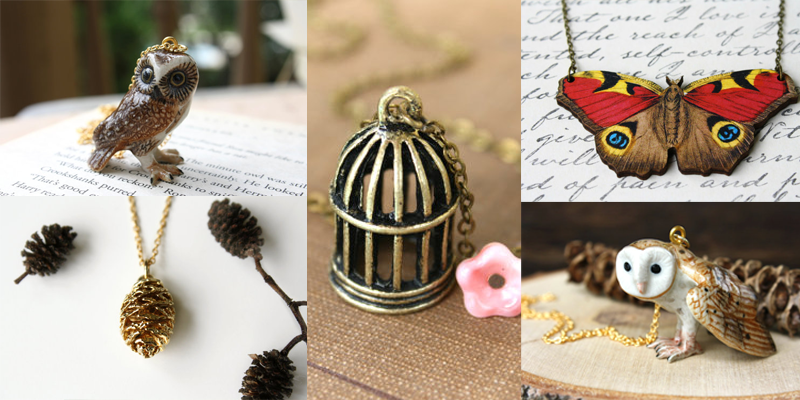 I love, love, love the miniature golden pinecone necklace! That bird cage is just so adorable! definitely my favourite piece! I love the necklace with the golden pinecone! I feel like it just pops because it's so sparkly and it reminds me of fall which is my favorite season. What a lovely give away! I adore the Bambi necklace! Deer are my favorite animals! The full moon ring is perfect! I like the Bambi necklace a lot. Thanks for the opportunity to win! Love your BLOG! You should come check out Hipster Tops Teen Clothing Store, Our Teen store sells Hipster Clothing, Crop Tops, Graphic Tees, Crew Neck Sweaters & Hipster Sweaters for teens, You would look great in all of our clothes!